Nothing says rest and relaxation like a pair of wooden rocking chairs on a covered porch. Like other wooden outdoor furniture, wooden rocking chairs can provide years of enjoyment as long as they are correctly protected from the elements. By painting your wooden rocking chairs, you create a more water resistant surface, which can help prevent warping and rotting. With a variety of color choices available, your rocking chairs can also become an inviting design element on your porch or patio. 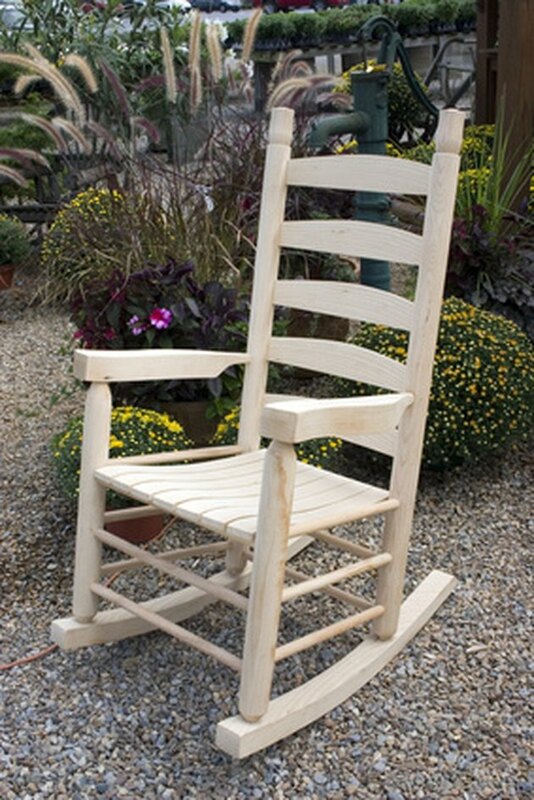 A wooden rocking chair can be an inviting element to an outdoor room. Prepare the rocking chair for painting. Start by cleaning any dirt and debris. Use a stiff brush to clean any dirt or peeling paint. You can also use a hose to rinse it. Allow the chair to dry completely before proceeding. Use coarse grit sandpaper to remove any loose or peeling paint (if necessary). You also should use the coarse grit sandpaper to remove any rough spots. After removing the paint, wipe the chair with the tacky cloth. Then go over the chair with fine grit sandpaper to create a smoother surface for painting. Wipe the chair a final time with the tacky cloth to remove any remaining loose paint or saw dust. Apply primer with the paint brush according to manufacturer directions. 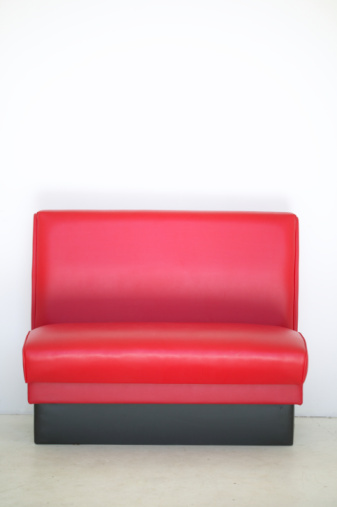 Apply one full coat, making sure to get completely cover the chair, including underneath the seat. The primer will help to seal the wood and provide a good surface for paint. Allow the primer to dry for several hours (as instructed by the manufacturer).Touch up if necessary to ensure complete coverage. Once the primer is completely dry, continue. Apply the wood paint in the color of your choice with the paint brush. Apply the paint using short, smooth strokes, moving in one direction (not back and forth). You may need to apply multiple coats to get the coverage you need; allow the paint to dry between coats for best results. Once the rocking chair is completely covered, allow the paint to cure according to manufacturer's directions (24 to 48 hours). Shauntelle Hamlett is a nine-year veteran business writer, who has written website, brochure, trade publication, and marketing collateral for industries ranging from music to neurosurgery. Hamlett also specializes in medical writing, and has developed education materials for doctors, medical staff and heir patients. Her publication credits include Unsigned Music Magazine, eHow, Answerbag, Wacom Monthly and justBeConnected.com.